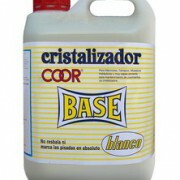 Terrazzo, limestone and marble crystallizer specially formulated for crystallizing, vitrifying big surfaces. 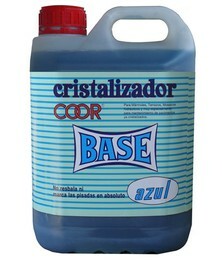 It provides a high level of long lasting and resistant shine in first crystallizations, being also suitable for periodical maintenance of floors already crystallized. Its use guarantees the maximum protection for the pavement for long time. 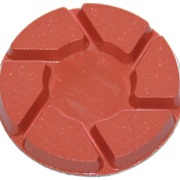 – It provides the pavement with the needed waterproofing and hardness for high traffic resistance. – It neither slides nor marks footprints. – Developed for dark or black marble, terrazo floors. Shake the product vigorously and use it pure. Pour or squirt a small quantity of marble Crystallizer on 3 or 4 m2 (10 to 15 sq feet), and with a rotary machine provided with steel wool, spread uniformly from left to right and form top to bottom, until it dries and the expected shine appears. Repeat the process at least twice. 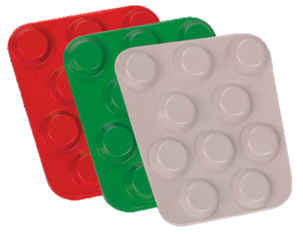 – Developed for white or clear marble, terrazo floors. 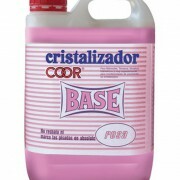 Pour or squirt a small quantity of Coor Base Rosa Pink Crystallizer on 3 or 4 m2 (10 to 15 sq feet), and with a rotary machine provided with steel wool, spread uniformly from left to right and form top to bottom, until it dries and the expected shine appears. Repeat the process at least twice. 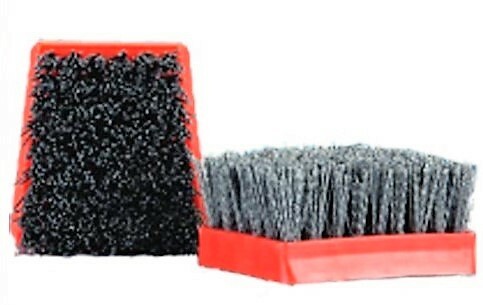 – Developed for dirty marble, terrazo floors. 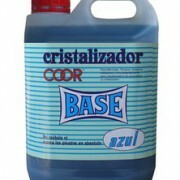 Pour or squirt a small quantity of Coor Base Azul marble crystallizer on 3 or 4 m2 (10 to 15 sq feet), and with a polishing machine provided with steel wool, spread uniformly from left to right and form top to bottom, until it dries and the expected shine appears. Repeat the process at least twice. Polish Sealant for marble, terrazzo, granite, limestone, concrete, specially formulated for polishing and sealing of large areas. It provides a spectacular shine and durable. Enhances natural beauty of the stone and shine. 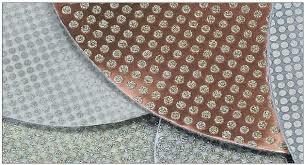 Its use guarantees maximum protection for the floor for a long period of time. 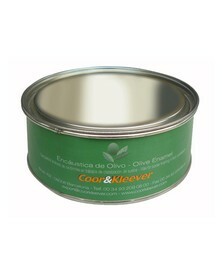 Solvent based with natural waxes and resins. 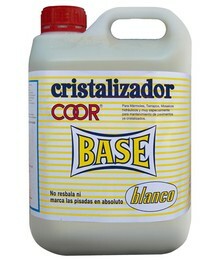 Recommended for use in conjunction with the stone crystallizers K1, K2 or K2F. 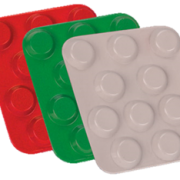 – Developed for all type of stone floors. 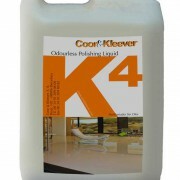 Shake the Marble Polisher Sealer vigorously and use it pure. 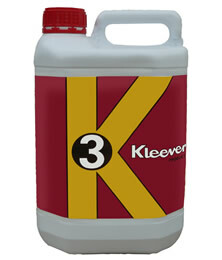 Pour or squirt a small quantity of Stone Floors Polish Sealant Kleever K3 on 3 or 4 m2 (10 to 15 sq feet), and with a rotary machine provided with steel wool, spread uniformly from left to right and form top to bottom, until it dries and the expected shine appears. Repeat the process at least twice. Polish Sealant for marble, terrazzo, granite, limestone, concrete, specially formulated for polishing and sealing of large areas. It provides a spectacular shine and durable. Enhances natural beauty of the stone and shine. 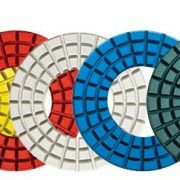 Its use guarantees maximum protection for the floor for a long period of time. Natural waxes and resins emulsion. 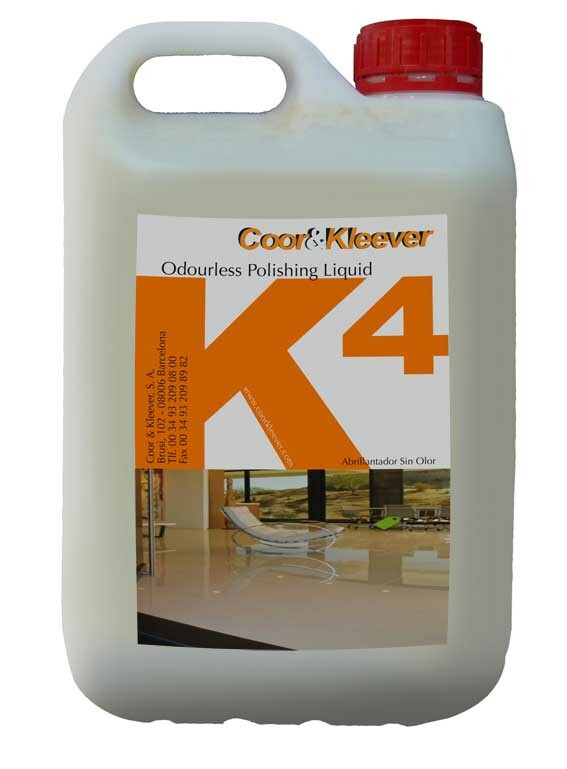 Pour or squirt a small quantity of Kleever K4 Stone Floors Polish Sealant on 3 or 4 m2 (10 to 15 sq feet), and with a rotary machine provided with natural fiber pad, spread uniformly from left to right and form top to bottom, until it dries and the expected shine appears. Repeat the process at least twice. 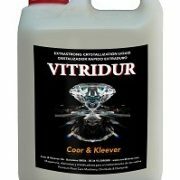 Vitridur is an Extra Hard Sealant Crystallizer specially formulated for the vitri-ficado-crystallized and maintenance of all types of calcareous pavements. Its exclu-siva formula allows a quick application and gives the pavement the seal and hardness to resist high traffic and durability. Mirror shine, does not slip or mark the steps. Encaustica Paste Wax is a high grade wax that is ideal for polishing and reviving marble, granite, travertine, slate, tiles, terrazzo and polished stones. This is a quick drying formula that penetrates the material thereby giving the stone a long lasting sheen. (Not to be used on floors.) 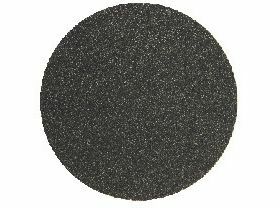 If rubbed with fine steel wool, felt pad, or a dry wool or cotton cloth, a uniform brilliant and long-lasting mirror-finish will be achieved. 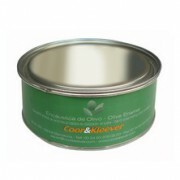 Owing to its special composition this product fills and seals porosities in the material and covers small scratches. 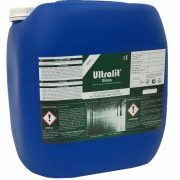 ULTRALIT HARD PREMIUM – ultra-high solid lithium densifier used to densify, harden, dustproof new or existing concrete floors. Absolutely “GREEN” and Planet Safe. 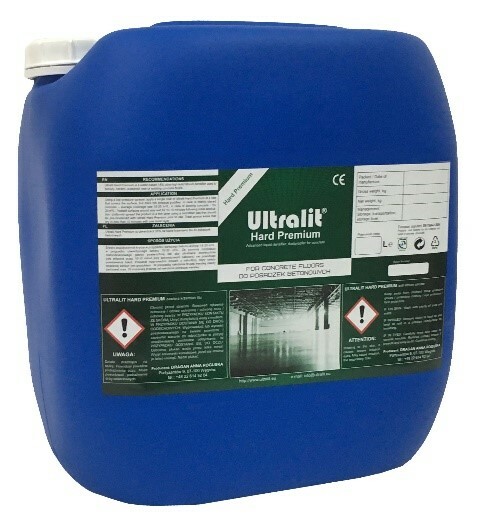 ULTRALIT GLOSS – lithium, high-gloss, stain and wear resistant concrete sealer used for improving the sheen, hardness, chemical resistance of honed and polished concrete. Ultralit Gloss Lock is solvent-free UV-resistant sealer which is designed to protect decorative/architectural concrete used for floors and walls (polished concrete, terrazzo, dry shake floors, cast-in-place concrete, paving stones) which require protection against soiling, efflorescence, loss of color, weathering, frost, etc. Ultralit Gloss Lock is suitable for indoor and outdoor application and can be applied on all absorbent concrete with any kind of finish (from smooth to rough). 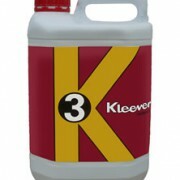 It is applicable on moist and dry surfaces and provides breathable long lasting screen. Stain protection. 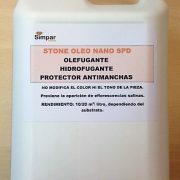 Water-repellent and oleophilic protector for the treatment of natural stone and porous surfaces. 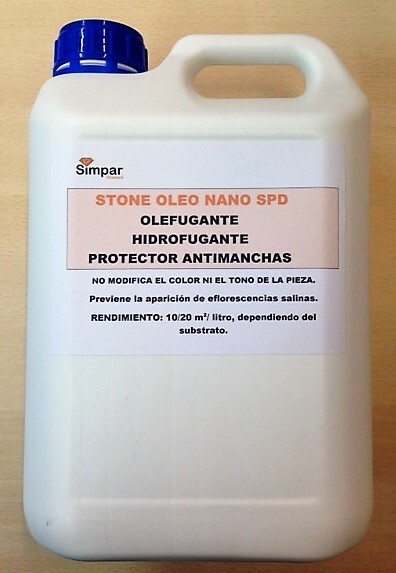 Nanotechnological product based on a hybrid polymer of the latest generation that acts at molecular level by anchoring chemically on the treated stone. 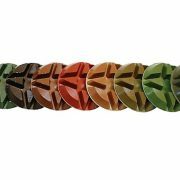 -It does not alter the colour, shade or texture of the material. -It does not create superficial films. 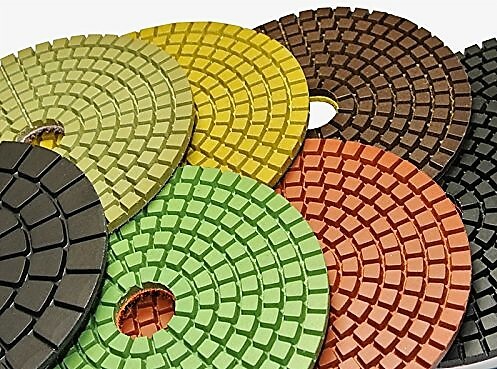 ShinePro® Diamond Pads and Screens are a versatile and efficient solution for floor maintenance, and provide outstanding results on polished concrete, natural stone, terrazzo, VCT, resin floors and overlays! 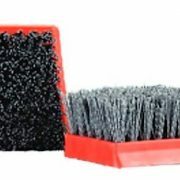 residue and interfere with the floor shine. Offered in 7, 8, 9, 12, 13, 14, 15, 16, 17, 18, 20, 21, 24 and 27 inch sizes. 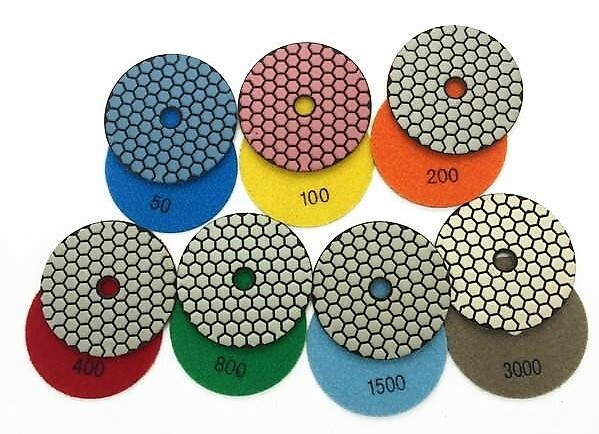 Very good and inexpensive solution for honing and polishing to achieve high gloss effect for grinding and polishing machines and automatic cleaning machines. Can be mounted on cleaning devices and scrubbers. 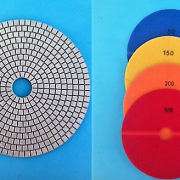 Tools for final polishing on polymer bond on hard cleaning pad. Available grits: 50, 120, 220, 400, 600, 800, 1500, 3500. Very fine grain discs used as the last polishing step of the SUPERSHINE system, leaving a polishing with a very high bri-llo mirror. Used daily to maintain and improve shine. Ø100 to 710mm Gr. 800,1500 and 3000. 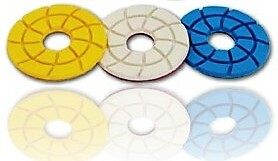 Resin bonded diamond segments with velcro fastening to be used in rotary polishing machines. 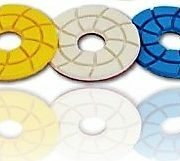 It is used to restore marble, terrazzo, and granite surfaces, assembling 3 or 5 units per set depending on the head diameter. 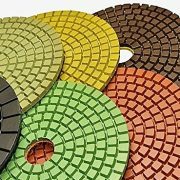 Because of the special formulation and the design, they give a very good result in terms of time and quality of final polish on every type of stone floor. 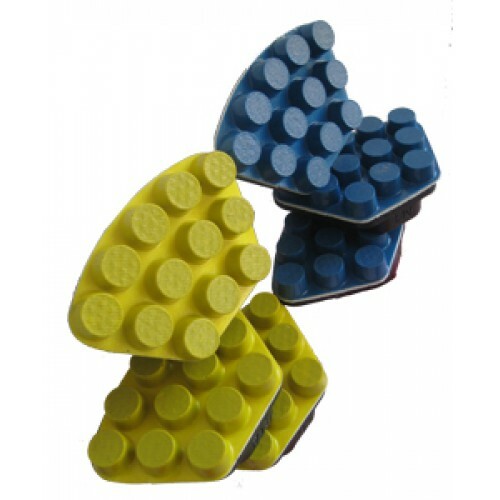 Resin bonded diamond segments with velcro fastening to be used in rotary polishing machines. 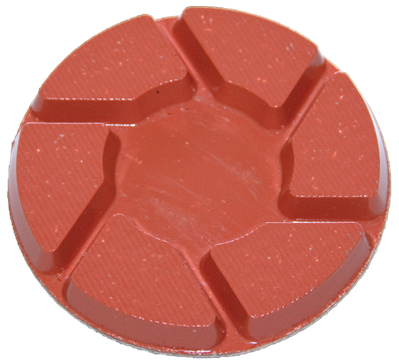 It is used to restore marble and terrazzo surfaces, assembling 3 or 5 units per set depending on the head diameter. Because of the special formulation and the design, they give a very good result in terms of time and quality of final polish on every type of marble. 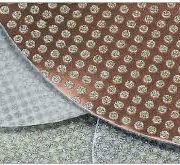 Diamond resin pad with velcro fixing for polishing and polishing marble, granite and terrazzo floors. 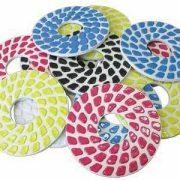 Diamond resin pad with Velcro fastening for polishing and polishing marble, granite and terrazzo floors. 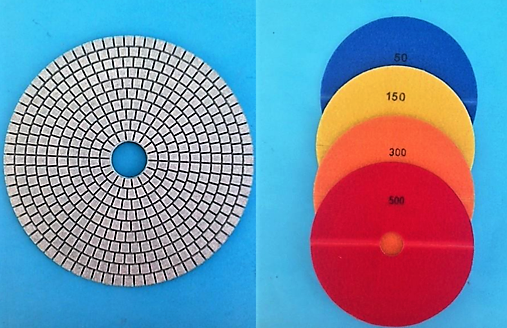 Adhesive resin disc, dry polished for marble and granite. High gloss finishes in a very short time. Disc for satellite machine. Resin. 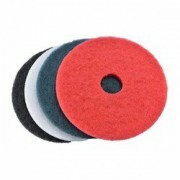 With velcro fastening, for the polishing and polishing of marble, granite and terrazzo floors. Available in Ø75 and Ø100mm. 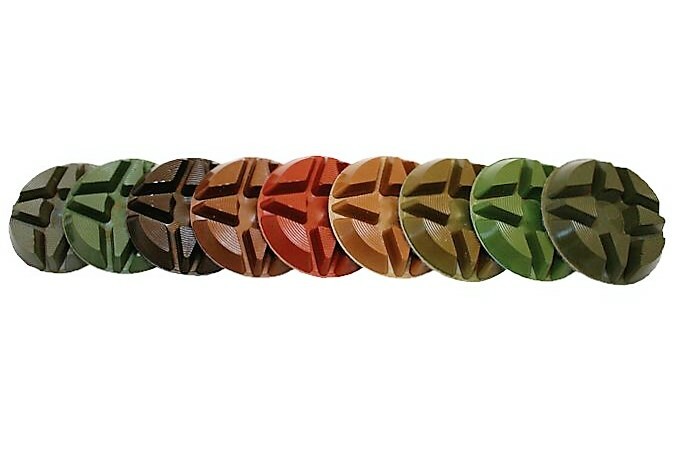 Diamond brushes of maximum performance and technology, for the “Aging” of Marbles, Granites and Stone in general. L30G and L30L. WAFFEL pads can be used wet and dry. Grains available: 30,50,100,200,400,600,800,1500 and 3,000. 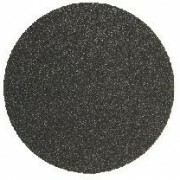 PAD V-HARR® premium polishing is one of the most versatile and successful products of Superabrasive, Ltd. 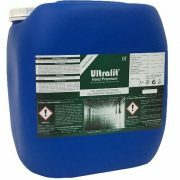 Designed for the polishing and restoration of concrete mechanically. V-HARR® is also ideal for terrazzo and hard stone. 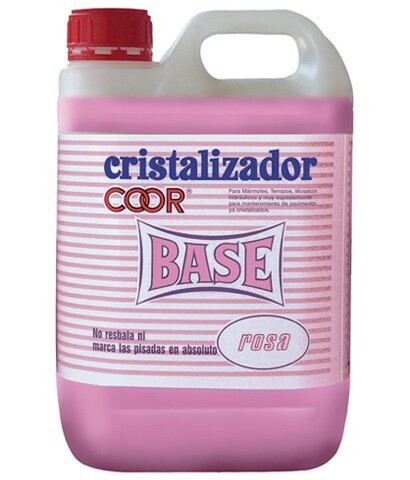 Its dry use is highly recommended for applications in concrete. V-HARR® will produce remarkable gloss results on black granite when used wet. 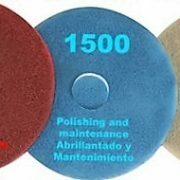 It is available in all diameters for use with any planetary polisher. Grains available: 50,120,220,400,600,800,1800,3500 and 8500. 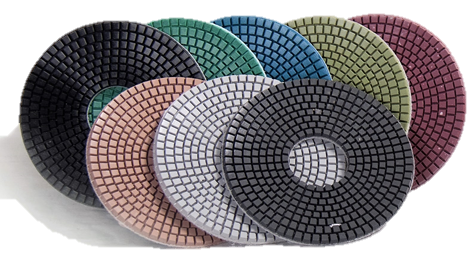 Our Nato resins have a truly set the standard for all other polishing pads to follow. 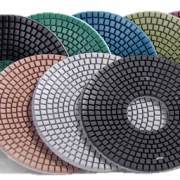 Wide channels and a unique patented design allow for work on a cleaner surface, ensuring a quality polish. NATO® discs feature a thick 12 mmlayer of resin and diamonds for extra long life. Also available in a thinner “economy” style (6mm). We recommend a minimum of three disc per head for an optimumm performance. 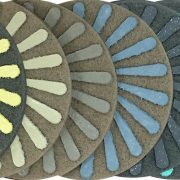 The undisputed solution for polishing natural stone floors. 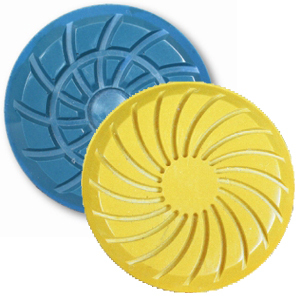 Both spiral patterns enable water to efficiently dispose of slurry, keeping the workg surface clean. The standard spiral pattern is designed for medium to softer stones, such as marble, travertine, onyx and limestone. The wide channel pattern with a larger footprint is more appropriate for harder stone such as granite. Both versions should be used wet only. Available in Ø76mm. Thickness 6mm. Grits 30,50,120,220,400,800,1800,3500,8500. 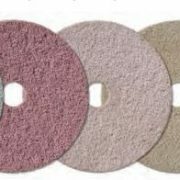 Designed for fine grinding and honing of natural stone, engineered stone, and fine wood surfaces, but they work best on softer natural stones suh as marble, travertine, limestone and onyx. 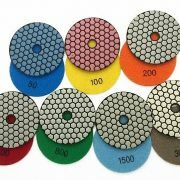 Available in a variety of sizes for use with various grinding machines. 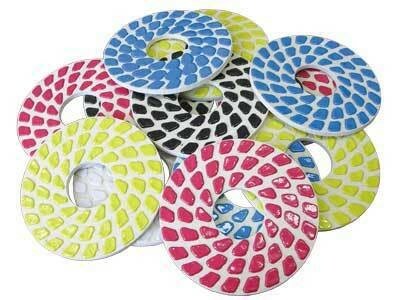 Our marble and terrazzo polishing discs are a reliable option. They are available in diameters 200mm /8 in, 125mm/ 5in, 100mm/ 4 in. 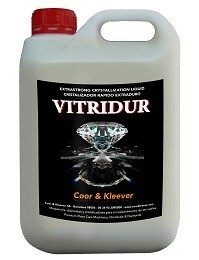 For excellent results in natural stone. A unique design allows water to flow between the edge of the stone and the tool, preventing burning and staining of the worked surface.